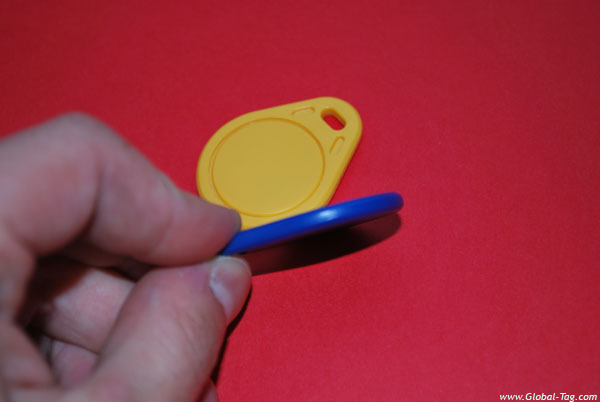 Global Tag CHAINY is an ABS keychain tag, with the possibility to add a metallic ring. Available in LF, HF, UHF or NFC (Near Field Communication). 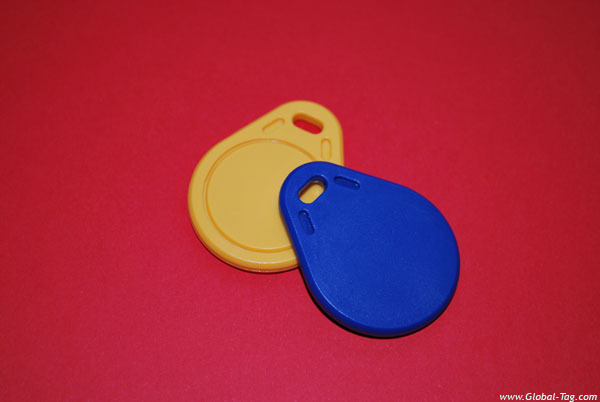 Designed for access control, parking fees or as gadget for events or fairs. Printing: monochrome printing or 4-colors in offset, starting from a graphic layout equipped by the customer in vector format. Printing of UID or EPC code, progressive serial code from database or not, or file .xls; barcodes printing, QRCode. Further customization options are available on demand. Chip memory encoding: Encoding of EPC code of RFID UHF transponders, HF and UHF tag memory write, also from database provided by the client . Contents can be, temporarily or permanently, locked through a password. EPC code and TID code association in database. UID code and progressive/barcode association.  You can customize your chainy with available printing options and other personalizations, requiring a timely quotation. 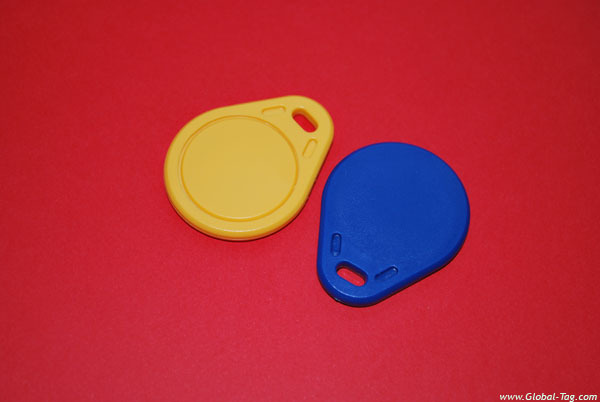 Please contact us for further information concerning RFID and NFC keychain.